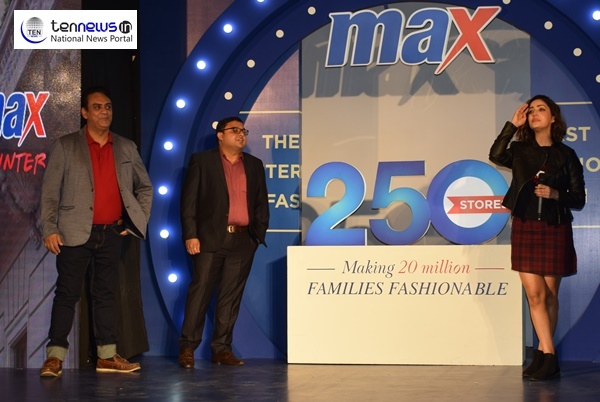 New Delhi: Max Fashion, one of the country’s largest fashion brand, set up its 250th store in india with the launch of a new store at Ambience Mall in Delhi. This is Max Fashion’s 21st store in Delhi NCR. The store was launched by none other than the vivacious Bollywood Actress Yami Gautam in the presence of a huge crowd gathered to celebrate the opening of their favourite brand store, in Delhi’s busiest and happening hub. its inspiration from the upbeat city culture with biker jackets, cool slogan sweat tees, faux fur jackets leading the way to a fashionable winter. Yami Gautam also met kids from a Deihi NGO who were waiting to have a glimpse of their favourite actress. Yami enjoyed cake cutting session with these kids which was followed by media interactions.